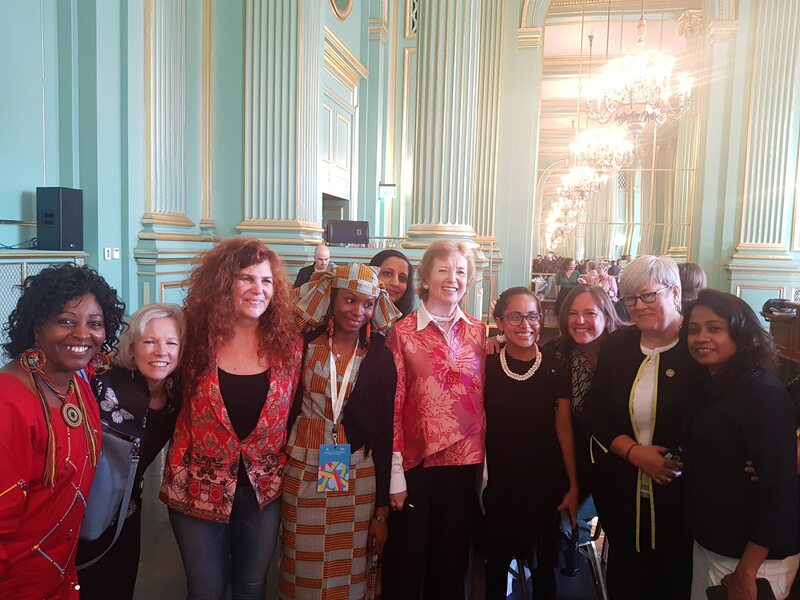 In the margins of the Global Climate Action Summit, the Mary Robinson Foundation – Climate Justice, the State of California and the United Nations Framework Convention of Climate Change (UNFCCC) convened a dialogue on women’s participation in climate action. 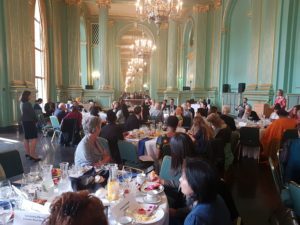 On the 12th of September 2018 the Mary Robinson Foundation – Climate Justice, the UNFCCC Secretariat and State of California co-hosted an event called “Changing the Climate Conversation: Enabling Women’s Participation to Advance Climate Justice”. 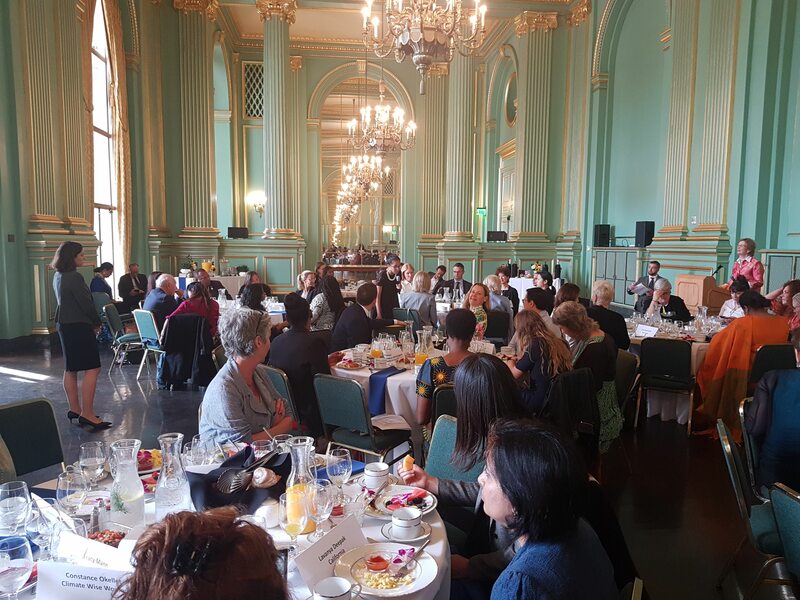 The event take place alongside the Global Climate Action Summit which is currently being held in San Francisco, California. Recognizing that the Summit seeks to change the climate conversation, the event brought together heads of state, ministers, climate change policymakers, civil society representatives, business leaders, activists, organizers and indigenous people to discuss how the barriers to women’s participation in climate action might be overcome. The event particularly focused on the participation of grassroots and community leaders in climate policy decision making. The participants took part in learning circles where every member held equal voice and were encouraged to listen to, and learn from, one another. Participants included Prime Minister Mia Mottley of Barbados, Minister Inia Seruiratu of Fiji, Rachel Kyte, CEO of Sustainability Energy for All and the UN Secretary General’s Envoy on Youth, Jayathma Wickramanayake. They were joined by a significant number of community representatives and indigenous leaders both from the United States and further afield. Women’s participation is central to realising climate justice. Over 60% of the people living on less than one US dollar a day in Sub-Saharan Africa are women, and poverty increases vulnerability to the impacts of climate change. Climate change exacerbates existing social inequalities, leaving women disproportionately vulnerable to climate impacts. However, evidence has shown that increasing women’s participation in the design, planning and implementation of climate action can lead to improved environmental and development outcomes for people and the planet. The Global Climate Action Summit is intended to bring together leaders and citizens from around the world to share what they have achieved to date in the fight against climate change, and commit to doing more to improve our world and usher in a new era of decarbonisation and prosperity. 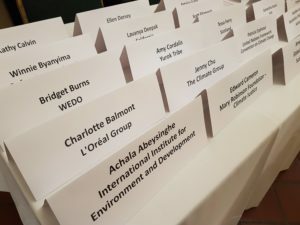 In this spirit, the ‘Changing the Climate Conversation’ event sought to broaden the awareness, among decision makers, of the need to commit to supporting women’s participation in order to ensure that climate action is gender responsive and harnesses the agency of women to create sustainable change. Finance is critical to support the participation of women in decision making on climate change. Work must be done to improve the quantity of, and access to, financial resources for women’s empowerment. Capacity building is necessary to help women, particularly from frontline communities, to engage effectively and articulate their expertise to decision makers. 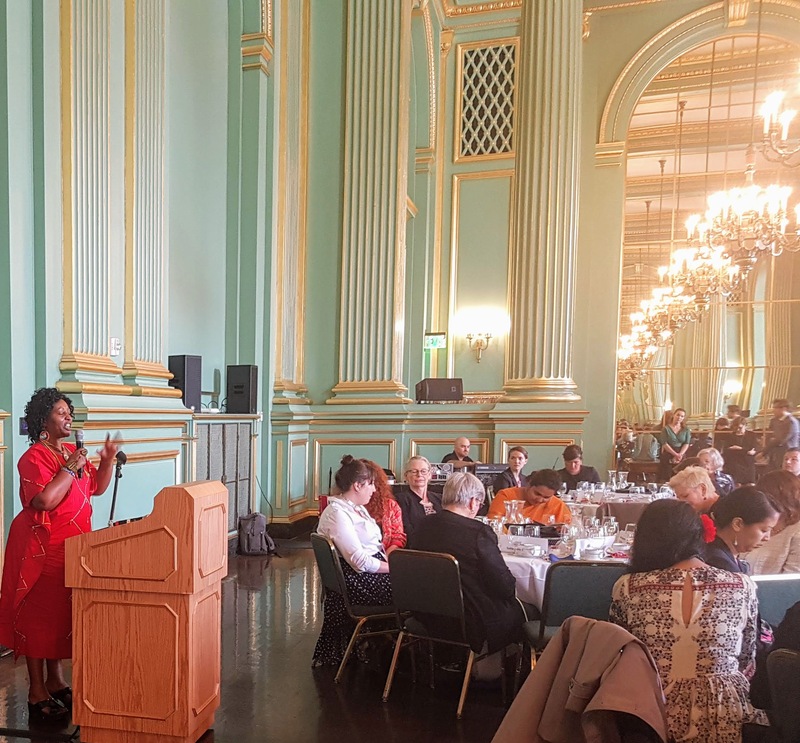 Spaces must be created to enable women to sit at the decision making table – where pervasive inequalities exist, quotas should be used to overcome these barriers. Participants seemed to be in agreement that a mind-set change was required – women deserve real and meaningful participation in decision making on climate change and leaders need now to take the action necessary to remove the barriers that currently exist. In her closing remarks, Agnes Leina, Founder And Executive Director of Il’laramatak Community Concerns, called on the women gathered in the room to support each other in the pursuit of gender equality, saying “There were so many diverse voices in the room today, we are all one but so beautifully diverse, and in that diversity we find our strength”.